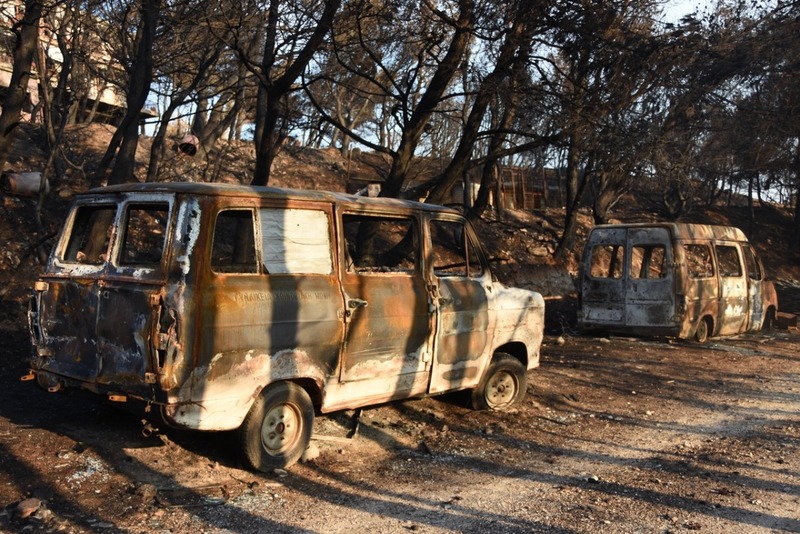 On July 23rd, a small town of Mati, located 18 miles east of Athens, was devastated by one of Greece's worst wildfires. More than 80 people died in this tragedy. 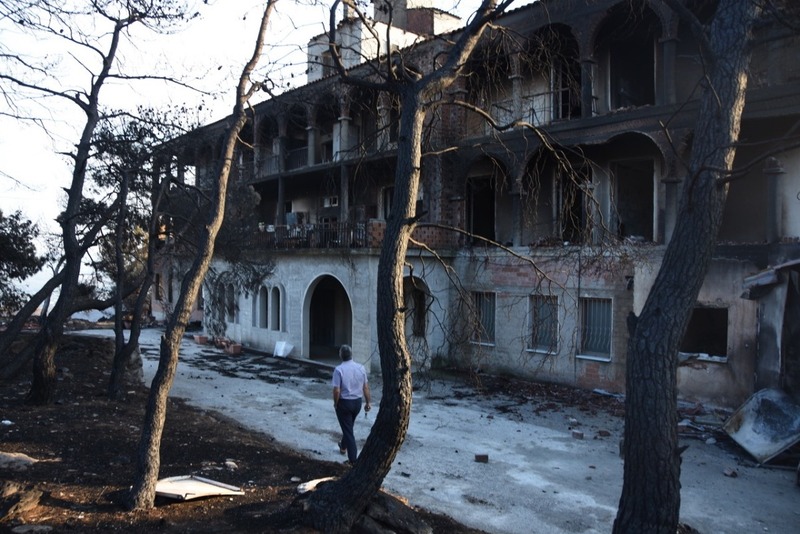 The fire nearly completely burnt a monastery (Monastery of the Holy Trinity) and an orphanage Lyreio in Neos Voutzas, which was home to 45 children. 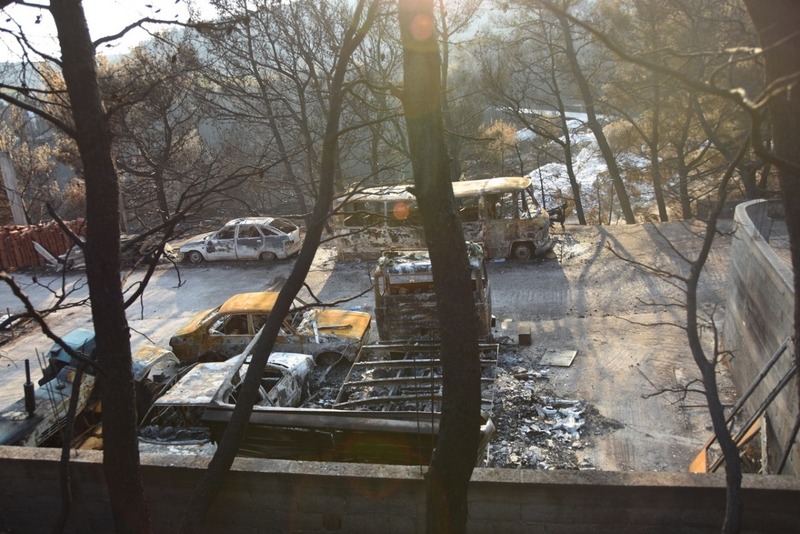 Thankfully all residents and guests were able to leave in time, but the buildings were destroyed and need to be completely rebuilt. One of the most immediate needs is restoration of water and electricity and purchase of vans which were also lost in the fire. After that will come the buildings restoration and replacement of all the content (furniture, clothes, equipment). The Lyreio Orphanage is run by Orthodox nuns and provides home to children from birth until adulthood. They depend only on community support and private donations. This fundraiser is our small effort to help rebuild the monastery by raising funds in America, and hopefully beyond. My name is Agata McCutcheon. 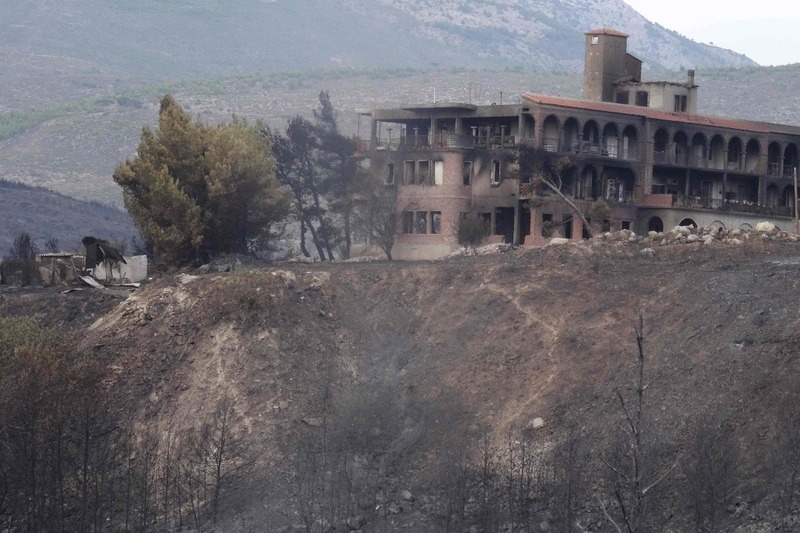 My Greek friends close to the monastery/orphanage asked me to help raise awareness and raise funds for rebuilding. And then please share this message with several of your friends, asking them to do the same. Thank you for your generosity and help. Happy New Year to all of you, most generous donors to my campaign for the Athens Orphanage! Thank you again for your contributions and may you be richly blessed and rewarded for your generosity, in this New Year and for years to come. In total, we have collected more than $4400, of which $3620 came through GoFundMe. I have sent $4000 via wire transfers and I hope to take the rest of the money (currently there is $345 in the account) when I travel to Greece this February. I would like to ask you to consider making a final small donation of $5 to help me increase this. Maybe you could view this gift as "a ‘good start’ to your charitable efforts in 2019"? The monastery and the orphanage are nowhere near being restored. I invite you one last time to help them a little. I will update you again after the visit. Thank you, and please share this request with as many friends as you can. Thank you so so much again to all of you who donated to this campaign! I wanted to let you know that as of today, I have completed two $2000 transfers from the fundraiser to the Orphanage bank account in Greece (to Alpha Bank, one on August 14th and one on Oct 2nd). Even if the GoFundMe balance is less than $4000, this was possible because of several direct donations, mostly from the parishioners of St. Mary's OCA Cathedral, my home parish in Minneapolis. I am most grateful to all of you who continue to donate! I was able to receive the confirmation that the Abbess Maria has received both transfers and is grateful for our gifts. This was thanks to a young American philanthropist who is working with the monastery directly. Michael Boosalis (son of Dr. Harry Boosalis, a well known Orthodox writer and teacher) runs an organization called "Critical Relief for Children" and is based in Athens. Michael shared with me some of the photos and reassured me that our collection is of great value and very appreciated. "The Lyreio Children's Orphanage in Rafina, Greece"
Thank you for your great generosity, and let's continue our effort into the Holiday Season... The season that is meant to remind us how much we have and how everything we have is God's gift to us. Thank you from the bottom of my heart to all who donated!